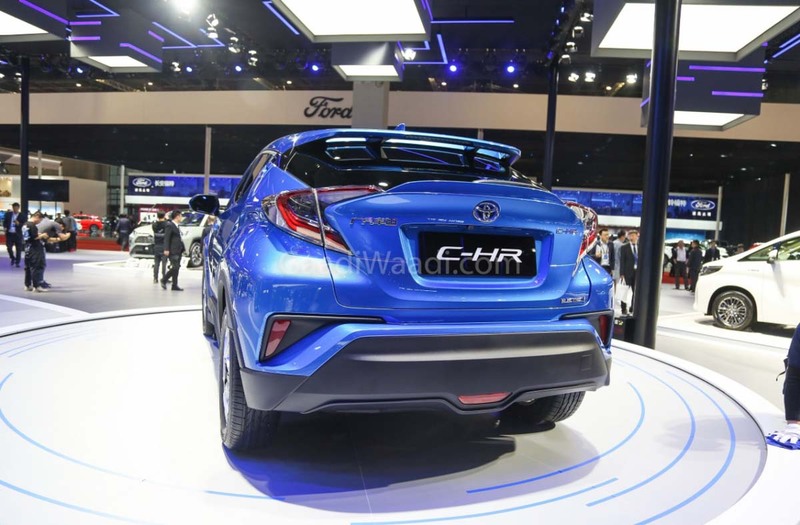 As part of making a strong statement at the 2019 Shanghai Motor Show, Toyota has revealed two brand new zero-emission versions of the highly popular C-HR crossover. 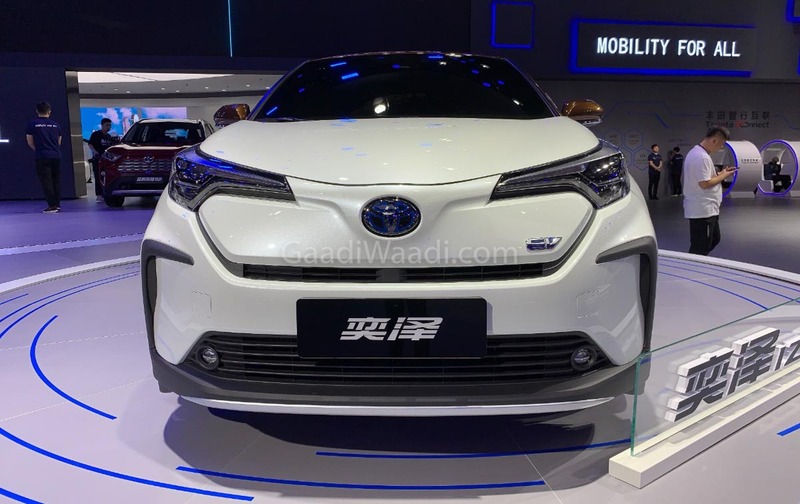 They will be manufactured under GAC-Toyota and FAW-Toyota JVs as having a local partner is of utmost priority to the global brands. 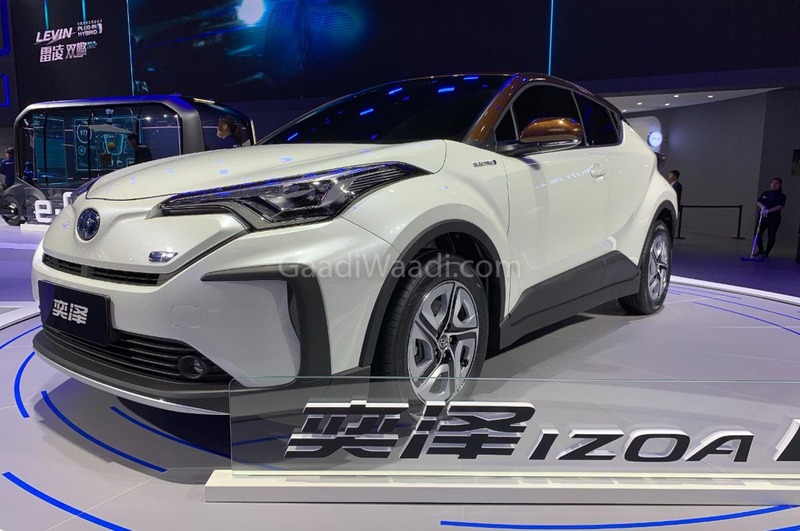 The C-HR EV and IZOA are accompanied by Rhombus concept as well as hybrid versions of RAV4 and Alphard at the Shanghai show as Toyota plans to sell more than 5.5 million electrified vehicles by the end of next decade. 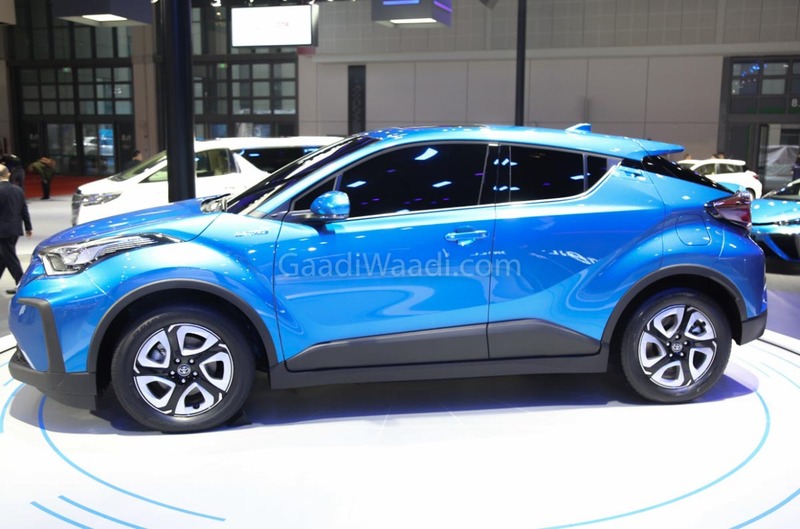 From next year onwards, the new C-HR EV and IZOA will go on sale in the People’s Republic and they are the first Toyotas to carry full electric drivetrain. The Japanese automaker has been exploring new opportunities to tap into the vast Chinese market with electric vehicles having top-level significance. Toyota has not revealed anything regarding the performance parameters of the C-HR EV but the official clip posted by the brand indicates the positioning of the battery pack and the electric motor. 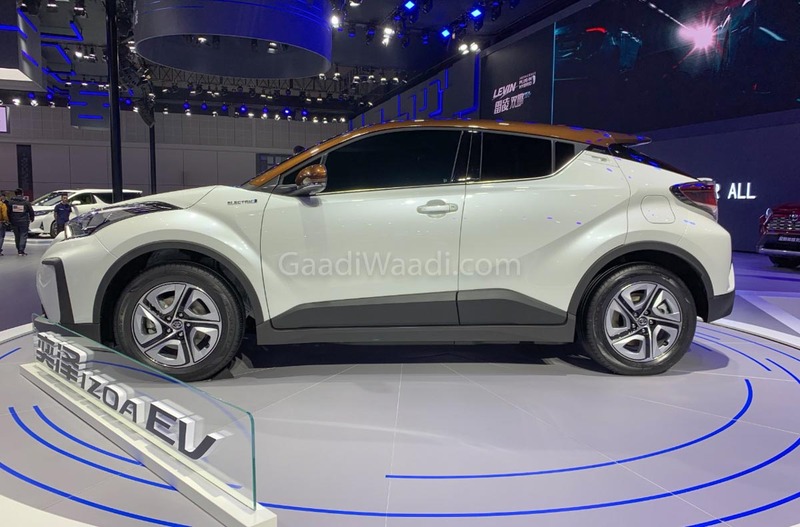 With lower centre of gravity being crucial for the handling characteristics and the positioning should be in such a way to save floor space for occupants, it comes as no surprise that the battery pack has been mounted on the floor and electric motor underneath the bonnet. 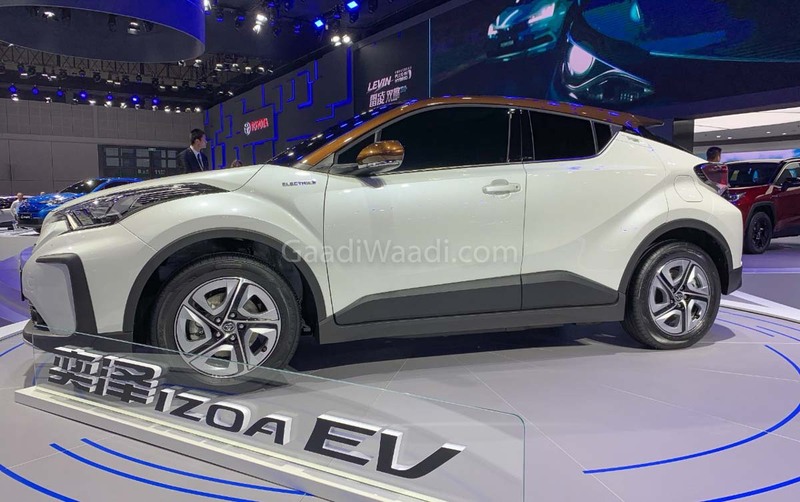 The electric motor powers the front wheels while the interior comprises of an all-digital instrument cluster and newly designed gear selector. 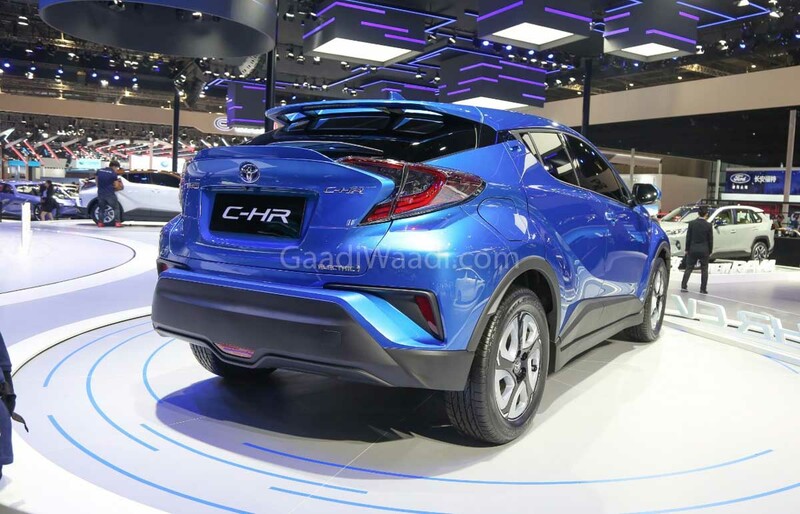 The C-HR retains its funky exterior with sporty contours and edgy body panels. The front end boasts sweptback headlamps and a striking bumper section. 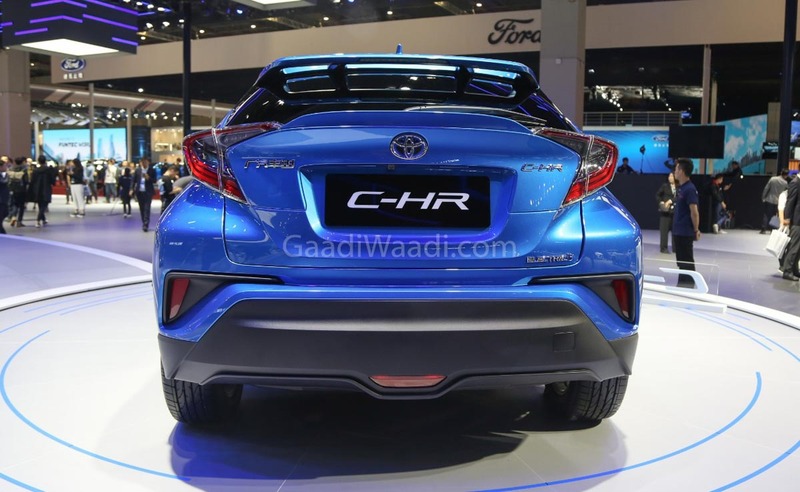 The coupe roofline and a slightly raised rear portion with horizontal LED tail lamps are part of the package. 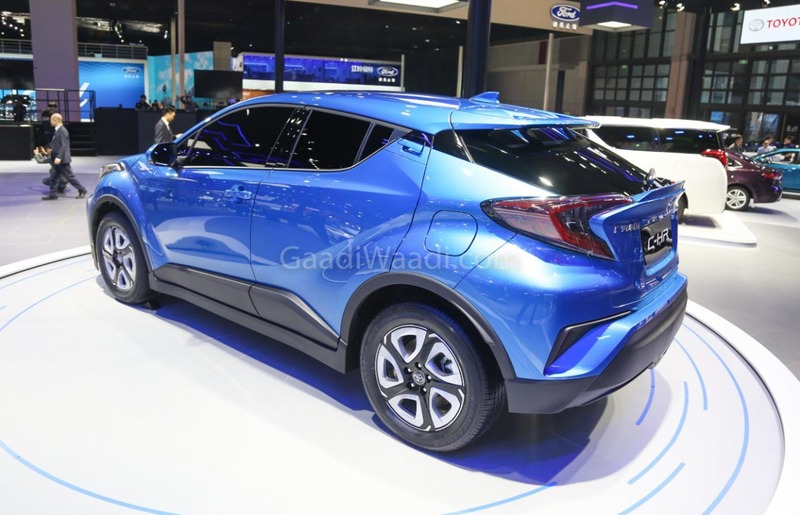 The regular front grille has been ditched as there is the presence of a new lower grille and bumper design. 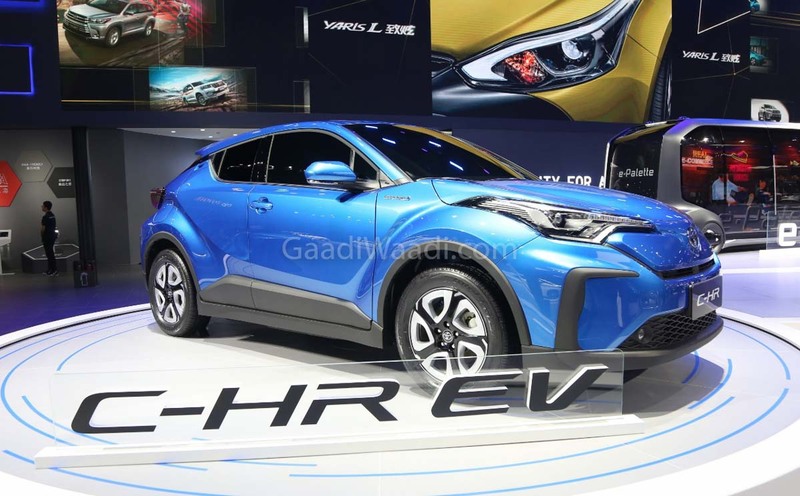 The tyres have smaller size compared to the standard C-HR for enabling more driving range by reducing rolling resistance.